A simple spin off utility from System Spec. 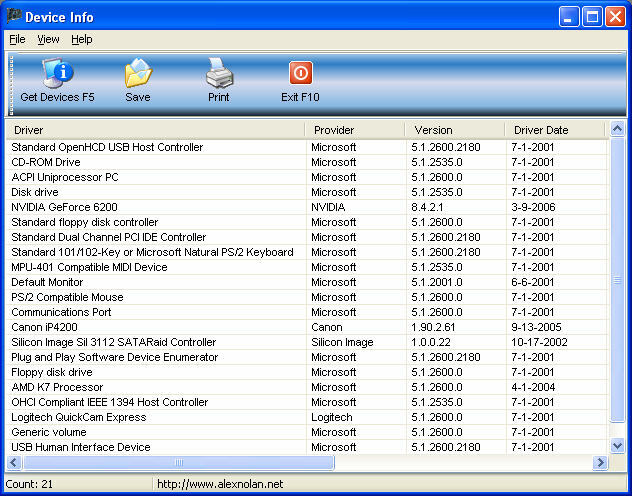 It lists all your systems device drivers and their provider and version. In this new version it will now skip over any registry errors and continue to display devices. The previous version would not display any data if it encountered a registry error. Additional columns of information now displayed about the devices such as the driver date etc. Changed to Windows XP style.